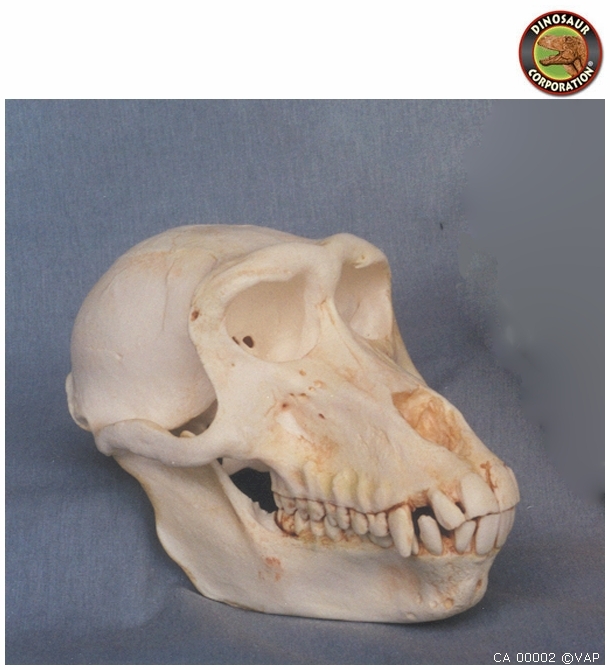 Hamadryas Baboon skull replica. Papio hamadryas. Adult female. Open country of West Arabian Peninsula to East Africa. California Academy of Sciences Specimen. The Hamadryas Baboon (Papio hamadryas) is a species of baboon from the Old World monkey family. It is the northernmost of all the baboons, being native to the Horn of Africa and the southwestern tip of the Arabian Peninsula. Hamadryas Baboon males may have a body measurement of up to 80 cm (31 in) and weigh 20�30 kg (44�66 lb); females weigh 10�15 kg (22�33 lb) and have a body length of 40�45 cm (16�18 in). The tail adds a further 40�60 cm (16�24 in) to the length, and ends in a small tuft.